I can’t open a can of condensed milk without thinking of my mother. She spent her rural childhood in an era devoid of nutritional paranoia, when sugar wasn’t demonized and processed foods were a rare treat. 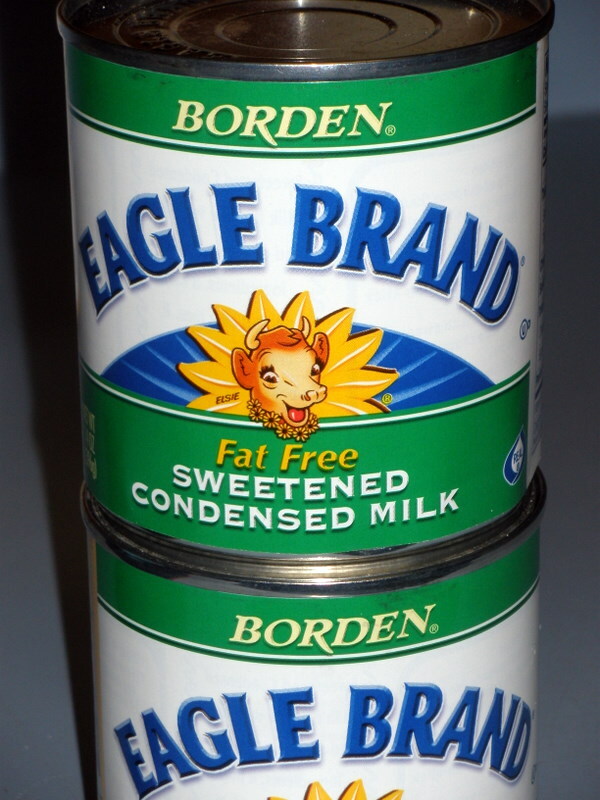 World War II’s sugar rationing left many of her generation with an inordinate fondness for canned, sweetened condensed milk, and she has never lost this formed-early affection. When I was a kid, she’d open up a can, just to eat it with a spoon (not all at once, mind you), stashing it in the back of the fridge to keep it out of the hands of her hungry children. Two entire cans of condensed milk form the backbone of her homemade ice cream recipe, handed down from her own grandmother. It’s uncooked, relying on a ridiculous number of whole eggs and all that condensed milk for body and texture. The original recipe called for scalded milk, which my mother quit doing some time in the 1960s, when she finally realized: her grandmother’s milk wasn’t pasteurized, it was straight from the cow out in the barn. This Mother’s Day, we’ll feast on boiled crawfish, followed up by hand-cranked, homemade vanilla ice cream. 2-4 tsp pure vanilla extract, or 2-3 vanilla beans. Wish I could have been there, however restaurant people work on Mother’s Day. After learning to make a chef driven caramel sauce that I perfected over many years and many messed up batches, a little old creole lady from Scott taught me her method. Place that 1 can of condensed milk in a pot. Cover it with water and let it simmer for 4 hours. It makes some of the best caramel sauce. It doesn’t break either. My new favorite condensed milk use is to make tres leches, but thats a whole other story. Do be careful if you heat the can unopened in a pan of water…an explosion isn’t out of the question, esp if you let the water get too low & the can overheats. I overfilled the freezer canister & consequently the ice cream took forever to freeze, but it tasted good anyway. I’ve been known to eat that stuff out of the can with a spoon, too. In college a roommate and I would share a can over the sink in our room. Wish I had some right now. Or the ice cream, either! It also makes a good flan. my favorite use of condensed milk: cafe sua da (vietnamese iced coffee). I’ll have to give this a try. I haven’t used condensed milk for ages, not since my Grandfather and I put it in our coffee. I’ve just started making home made ice cream with a White Mountain hand crank machine and the kids think it’s awesome.